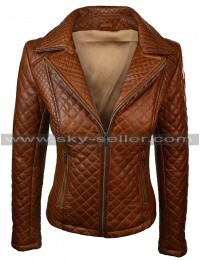 This is a very stylish yet intricate and classy jacket which has been a perfect choice to be carried casually as well as formally. 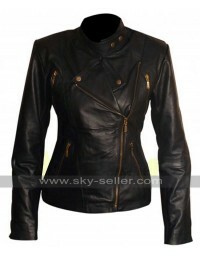 Women usually desire something which appears attractive and elegant and this moto jacket justifies the desire people possess. 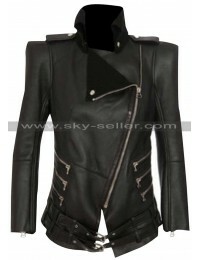 This Asymmetric jacket has been made with the best quality leather and the black color makes it shine to perfection. 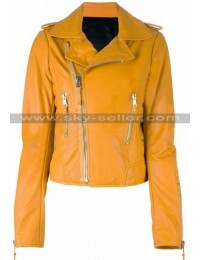 It has front layout which features a slant zip closure and the wide collars are always the most outstanding ones. 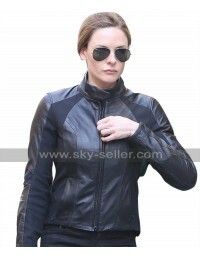 There are two pockets as well which are zipped to perfection.